One of the Best Locations in Baldwin Park! 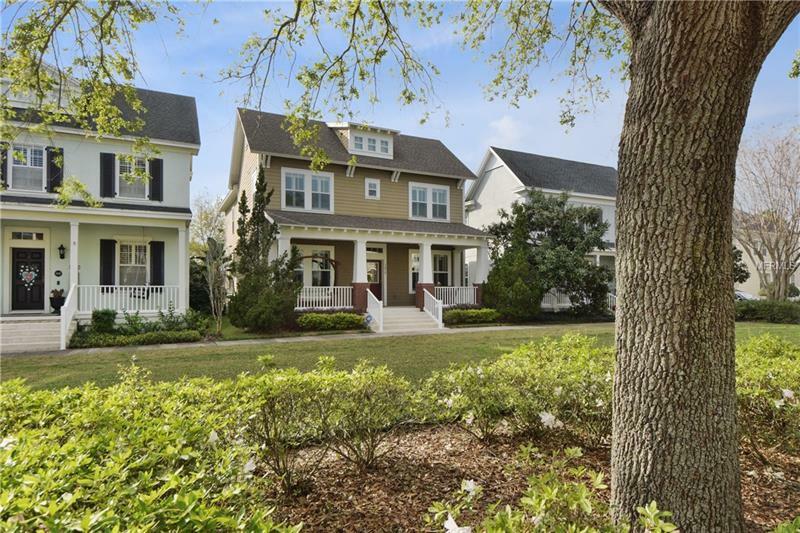 This Craftsmen style two-story, 3 Bed/2.5 bath plus loft & office faces the Mews park & is 1 block from comm. pool & play area, & half a block from entrance to the Cady Way Trail. This meticulously maintained home has a spacious & open floorplan w/many upgrades. As you enter the home, there is an office w/French doors & a formal dining room. Hardwood floors throughout living spaces & beds, tile in baths & laundry. Kitchen has 42" cherry wood cabinets w/crown molding, under cabinet lighting, granite counters, large island that overlooks family room, & separate breakfast nook. French doors off the family room lead out to the screened-in back porch w/tile floors & ceiling fan making it perfect for enjoying year round. Upstairs are the 3 bedrooms & large loft. French doors lead into the Master suite w/tray ceiling. Spacious master bath has double sinks, garden tub w/separate shower & large walk-in closet. Oversized laundry is great for extra storage. Large covered front porch adds to the curb appeal & is also perfect for enjoying your peaceful view of the mews. Rear entry garage. Water softener, ADT alarm system, & Plantation shutters throughout. New water heater Dec 2018. This home has "Weekley Green" Features like Double Paned Low E-Windows & R 38- Blown Insulation. Located in desirable Baldwin Park with its own downtown Village Center, Shops, Grocery, Restaurants, Parks, Playgrounds, Bike & Walking trails, 2 fitness centers, 3 community pools & Top Rated schools.